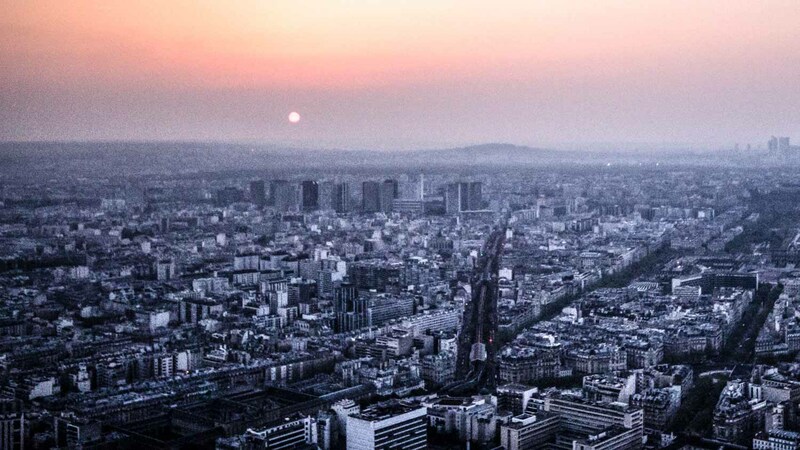 At a height of 210 meters, the Montparnasse Tower is Paris' tallest building, and yet its spectacular panoramas over the city remain a surprising touristic secret. Here are five things not to miss from the tower's observation deck! 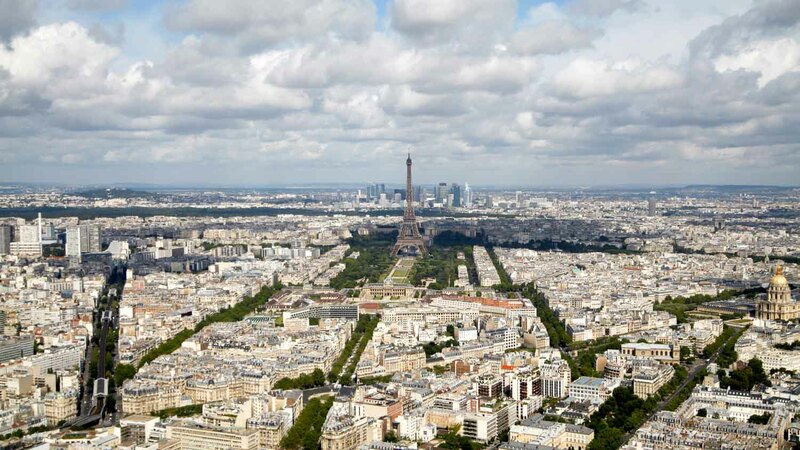 Imagine spending an afternoon in queues just to get a view of Paris without its most iconic landmark. That's what you'll get at the Eiffel Tower, not at Montparnasse! 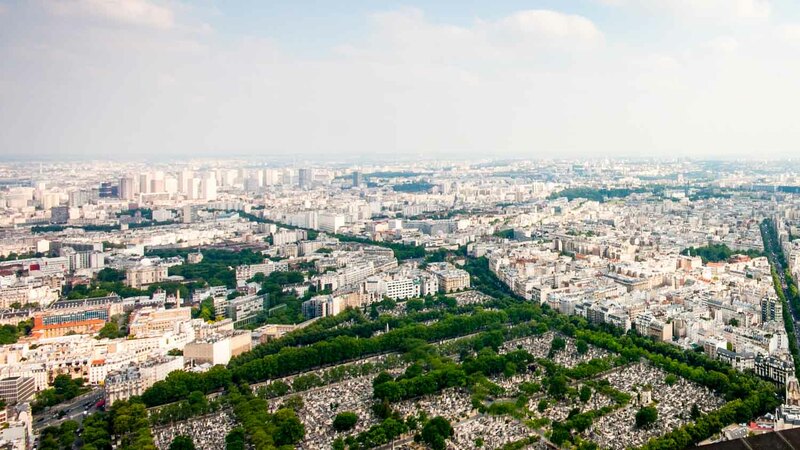 The tower boasts a gorgeous view of the Luxembourg Gardens, but better still is the breathtaking perspective directly over the famous cemetery where Samuel Beckett was buried. It'll take the clearest of days, but with a little luck you'll be able to see airplanes flying in and out of Paris' southernmost airport! To see the lights flicker on across the city, the charm of the Sacré-Cœur takes some beating. 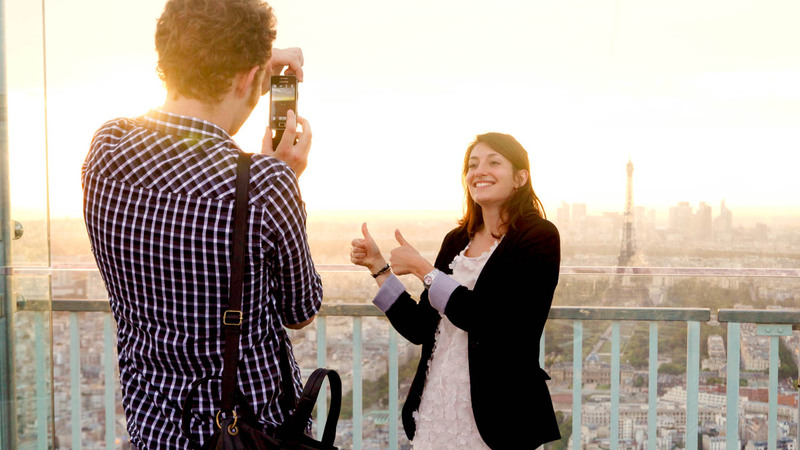 But for the view alone, the Montparnasse Tower offers the best in Paris! If you do visit the tower after dark, turn your back on the usual landmarks for a minute to watch illuminated trains leave Gare Montparnasse toward Paris' southern suburbs. Between April 1st to September 31st, the tower is open daily from the hours of 9:30AM to 11:30PM. The rest of the year it is open 9:30AM to 10:30PM from Sunday to Thursday, and stays open until 11:00PM on Saturdays and the eves of major holidays. Book your tour tickets online to avoid queues! You'll see more on a clear day so check the weather forecast first. Consider having dinner at the Ciel de Paris restaurant on the 56th floor, or go on a Friday night in summer to enjoy live music from 7:00PM on the roof terrace bar! The closest Metro station is Montparnasse-Bienvenüe, on lines 4, 6, 12, and 13. Daily 9:30AM to 11:30PM April 1st to September 31st. Check times online for the remainder of the year as they vary. Adult tickets are just €15. Take Metro lines 4, 6, 12 or 13 to Montparnasse-Bienvenüe. The view from the tower is breathtaking!! The view from the tower is breathtaking!! Also it's not very crowded. If you want a 360 degree view of Paris i highly recommend it. Be clever and forget to climb the Tower... DO MONTPARNASSE! This is the Highest Building and can offer you much more than the Tower. You don't have to much persons around you, you can have a cocktail/softdrink/beer and eat something in the 56th stage of a modern building... You can go upstairs into 57th and have some fresh air, chill out and take a look over the whole city of Paris. No rush ... no push... It is about 50 € to climb the E-Tower to the 3rd Stage and you will have not much space there... Pickpockets all the way around the E-Tower, and very annoying Sellers await you directly around the Tower. If you go to MontParnasse you will not have any trouble. You can relax and have an even better look above the city & you will have the perfect view to the E-Tower and many other famous buildings. You will be able to feel the power of the fastest lift in Europe as well. The view is outstanding, and the price is MUCH better ! Keep it as a secret! Excellent views; get there early for sunset! We had skip-the-line tickets, but still had to wait quite a bit to get through security, especially at sunset. Skip-the-line here only skips the ticket purchase line; ticket buyers' and skip-the-line holders' lines merge right before security. I think the day we went was especially busy, too, so we were still in line at sunset. Once at the top, though, we had great views of the city and, of course, the Eiffel Tower! Absolutely breathtaking view of the City of Lights by night. Another must visit whilst in Paris. The 360 view from the top was mesmerising. It wasn't that busy when we went so we were lucky to spend enough time up there and we both took some stunning photos. 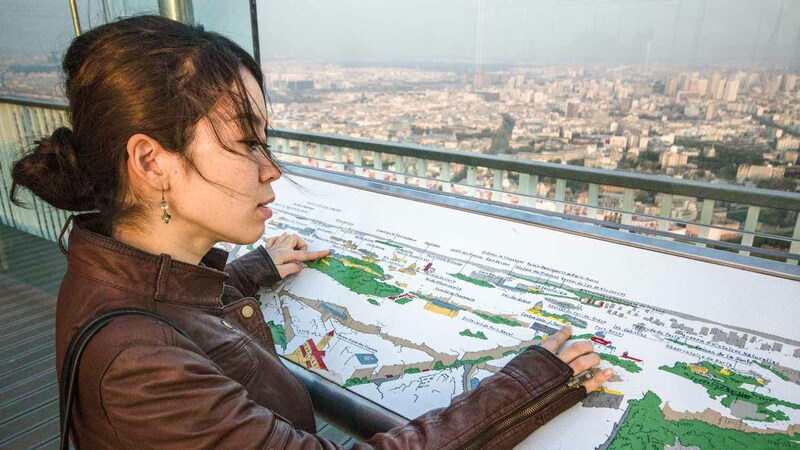 If you're looking for a surprising place to propose that's not the usual in Paris then the observatory at the top of the Montparnasse Tower would be perfect. Easy to find using Citymapper app and no problems with entrance queues. Amazing view, the glass walls save you from wind and you feel very safely. And there are narrow windows in the walls for making photos.